Over a year ago I wrote an article about the meaning of numbers in Chinese culture and how that affects the value of numeric domains. The article got a fantastic response: several blogs linked to it; Michael Cyger from DomainSherpa.com interviewed me about the content and the article jumped to the second search result on Google for the keywords “numeric domains” (with the first result being my interview on DomainSherpa). On my end, besides developing a mild number-related OCD, I was quite surprised to find, after re-reading the article, that the floor prices for numeric domains I quoted one year ago increased at least 300% – which is quite an increase for any investment asset. In addition, less than 2 months ago, 360.com became the most expensive domain acquisition in history when QiHoo, a Chinese company, bought it from Vodafone for a staggering 16,000,000 USD. Where would you have been if you had invested $15,000 in a random 3 number .com like 479.com at 18 months ago? Well, as of today, you would be probably able to sell it for around $60,000. This is why you should study carefully this niche if you are looking to achieve disproportionately better returns on your portfolio. The following article aims to be a near complete resource on the topic. I spent several hours putting it together – hope you enjoy! WHAT IS A NUMERIC DOMAIN AND WHAT MAKES IT SO VALUABLE? Liquidity. The ability to quickly cash in on an asset considerably increases its value. In addition, the market for liquid domains is purely speculative – 100% of investors who purchase numeric domains, do so to obtain a profit, and therefore they are rarely willing to sell at a loss. 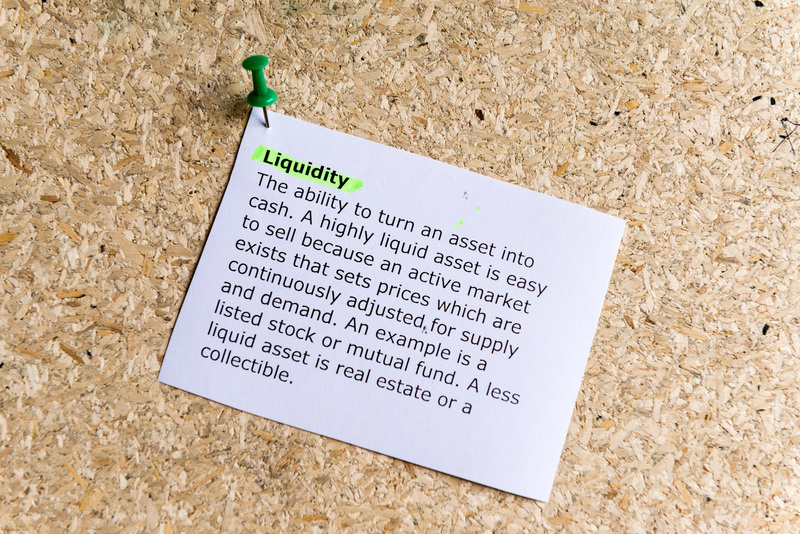 When this rare occasion happens, the market absorbs almost any quantity with near-perfect liquidity. As a result, it is extremely unlikely that domain investors (often wealthy Chinese citizens looking to put their wealth in a safe, international currency, which goes under the tax radar and appreciates in value) will one day rush to sell their domains and generate a large increase in supply. Traceability of assets. I mentioned in another article how easy it is to trace the top 11,100 most valuable numeric domains – you simply need to list on a spreadsheet all the numbers from 00 to 99, from 000 to 999 and from 0000 to 9999 – for a total of 11,100. If you add .com to all the cells and run a bulk whois extraction, you can now mass email all domain owners and ask how much is the lowest price they’d be looking to sell. Does this seem clever to you? Well, it is indeed. The issue is that most brokers and investors alike have done that numerous times and this is the reason why, if you are a numeric domain owner, you have been recently inundated by unsolicited emails containing offers or price inquiries. This has caused 2 consequences: 1. sellers tend to believe (and rightly so) that their assets are now worth a lot more 2. brokers relist the domains at a higher price to include their commission and/or a negotiation margin. The natural product of these is the 300% YoY increase in prices we have seen. Transactions Disclosure. While I love Ron Jackson and DNJournal.com, most transactions in the numeric market go undisclosed, for the simple reason that most times buyer and seller are both Chinese and do not care to disclose the details of the transaction to traditional industry outlets. On the other hand, there have been quite a few transactions disclosed in the industry blogs, especially when a Western end user was involved. Because end user sales tend to be at least double the value of investor transactions, like in the case of 360.com, those disclosed transactions created an inflated perception of how much numeric domains are commonly traded for. Those familiar with the liquid domain market know that most Chinese investors are happy to purchase a domain, price it higher and resell it one month later for a nice 20% profit. This clashes with the traditional “domainer” approach of: make me an offer (and I will figure out what is your max). If you are on the buy side, Chinese sellers are usually happy to provide you with lists of domains at reasonable prices; if you are on the sell side instead, Chinese investors will often bid large amounts, but they will never bid over the dominant BIN for comparable assets – it simply would not make sense for them to pay more. 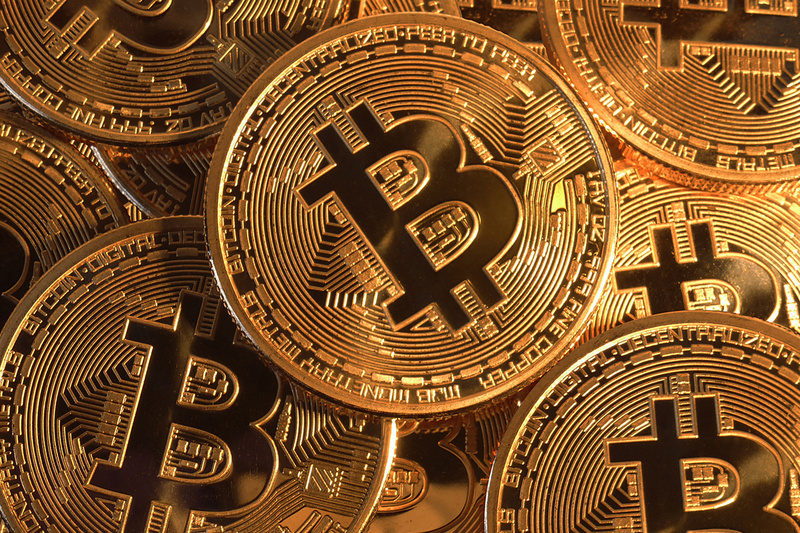 Therefore, when you are planning to make or accept a bid for a numeric domain, I recommend that you find out exactly what are the current trading ranges for similar assets, or you might be leaving (a lot of) money on the table. HOW TO APPRAISE THE VALUE OF A NUMERIC DOMAIN? 1. Shorter is better. This is the most obvious rule: a two number domain like 23.com is usually more valuable than a three number like 233.com, which in turn is more valuable than a four number like 2333.com. Beware though, this is just a rule of thumb because some domain names with specific patterns can have a higher value than a short unpatterned number. For example 9999.com is at least 10 times more valuable than 472.com, and the same applies for example to 88888.com vs 4220.com. 2. Pairs are lucky. There is a Chinese expression called “double happiness” which actually commands a symbol on its own: 双喜. The symbol is so popular that it appears in several traditional Chinese items, as well as in retail products like Shanghai Tang (link). This is also the case for numeric domain names: any number repeated like 33.com or 88.com is extremely valuable, often times up to 3 times or more the value of a simple numeric combination like 35.com. 3. Sequences are valuable. If two repeated numbers are valuable, three or more sequenced numbers are considered very valuable as well. The few combinations like 123.com, 234.com, 345.com and so on, have been commanding amounts far higher than regular domains. For example, a random domain like 472.com might be purchased for under $100,000 (at least for now), whereas one of the few disclosed sale of last year featured 345.com selling for $800,000 by Michael Berkens of MostWantedDomains. But why are these so valuable? Well, the simple explanation is that sequences are memorable and therefore they often coincide with existing brands. 4. Four is bad. We have said it many times: 4 is pronounced si, just like the Chinese word for death. Buildings in China often omit the 4th, 14th and other floors containing a four; a 25 year long study from the British Medical Journal reported that Asian people in the US are 13% more likely (27% more likely in California) to die from heart attack on the 4th day of the month. The 4 superstition extends also to Japan and Korea and all of Eastern and South East Asia. Even a word has been coined to define the 4-fright: tetraphobia (link: http://en.wikipedia.org/wiki/Tetraphobia). What does it mean for you? Any number containing 4 is far less suitable to be purchased by an Asian brand or by a Chinese investor, and therefore commands a far lower evaluation. How much lower? With all other conditions being equal, a good approximation is up to 50% less valuable. 5. Zero at the beginning is bad. While most of us are aware that 4 has a negative meaning, probably not as many know that any number starting with a 0 is also not so good. But how much less valuable? Well, assuming that the 50% approximation for the number 4 is valid, numeric domains starting with 0 are typically priced at 20% to 40% less that their non-zero-starting counterparts. Quite a drag this 0, isn’t it? 7. Benford’s Law (link: http://en.wikipedia.org/wiki/Benford%27s_law). This law says that lower numbers are typically more frequent in numeric distributions than higher numbers. For example, an address directory is much more likely to have lower numbers as street addresses rather than higher numbers, simply because the numeration always starts with 1 and follows an increasing scale. But how does this relate to domains? Well, this simply means that a brand is much more likely to select 12 as their brand rather than 64, for instance. No matter how subtle the effect, choosing a lower number when the price is the same might be rewarded with thousands of dollars in your bank account. a.The domain 88888.com (that’s right, five consecutive “8”) sold for $245,000. b.Most airlines, including United Airlines, KLM, Air Canada, Cathay Pacific and Singapore airlines reserve their flight numbers starting with 8 for flights to Asian destinations, especially China and Korea. A telephone number with all 8s was sold for USD $270,723 in Chengdu, China. One of the largest casino and poker operators in the world, 888 Holdings, is branding under the domain 888.com. The opening ceremony of the Summer Olympics in Beijing began on 8/8/08 at 8 seconds and 8 minutes past 8 pm local time (UTC+08). A man in Hangzhou offered to sell his license plate reading A88888 for RMB 1.12 million (roughly $164,000 USD). The Petronas Twin Towers in Malaysia have 88 Floors each. What does this all mean for you? Well, when looking at a price tag, you will notice that domains containing a 8 are priced on average 50% higher than those not containing a 8, and over 100% higher than those containing a 4. 10. Look for meaning. Not just in your life, but also in domain names. Keep in mind that every number, pronounced in a certain way, might mean something more than a simple combination of numbers in Chinese. For example 5 in Mandarin is pronounced “wu”, which sounds similar to “wo”, that means “I”. 1 in Mandarin is pronounced “yi”, but also “yao”. Yao in Chinese means the verb “to want”. 9 is pronounced “jiu” which is the same way you pronounce alcohol in Chinese. Now, if you put all these together, as in 519, what do you get? Think for one second, then go check the historical archives of the domain 519.com. You are exactly right – 519 or “wo yao jiu” (I want alcohol) – used to be a wine ecommerce. What about 518 or “I want prosperity”? Check the website, and yes, you are right again, it is an online casino – not exactly the definition of prosperity, but a concept somewhat related… at least for the owner of the casino. 11. Patterns are valuable. Ok, we understood so far that repeated numbers like 333.com and sequences like 345.com are very valuable. But other patterns can be valuable as well. For example an ABB (as in 133.com) pattern is also considered valuable, as well as ABA (131.com). Same rules extends for other valuable patterns: ABBA (which is not just the Swedish pop band but also the pattern of 1331.com), ABAB (1313), ABBB (1333), AAAB (1113) ABAC (1315), AABC (1135) and ABCC (1355). All these combinations are, on average, more valuable than a random number combination like 3152.com. 12. There are exceptions. I tried to cover as much as possible about numeric domain names and Chinese culture. However, given the qualitative nature of the subject and the underlying cultural factors which can’t be fully covered in this guide, appraising the value of a numeric domain remains both an art and a science. Your negotiation ability will also play a major role. Therefore, please consider these rules as general guidelines and not the full story. 你明白了吗？Ni mingbaile ma? WHERE TO INVEST IN NUMERIC DOMAINS? EXTENSIONS, IDNs and DASHES. Extension – Any numeric that is NOT a .com, .net, .cc and .cn. Chinese investors are not fond of any other extensions except for the ones above, and they even don’t love the .org (which many people consider valuable in the Western Hemisphere). This is not an absolute rule, and there are domains like 5.co.uk which obviously have value as well. What I mean by this is that it typically does not pay off to hand register new numeric domains if you are looking to sell them for profit. Whenever in doubt, please refer to the golden rule that you will find below. Length – Assuming that you have followed the rule about the extensions, stay away from anything that is longer than 5 numbers for a .com, and 4 numbers for any other extension. There are obviously exceptions like 88888888.com (that has considerable value), but you are almost always better off buying an already registered domain for a good price rather than searching in vain for a valuable domain that has not been registered yet. Trust me on this. Dashes – I will keep this short and sweet: just stay away from them. Please listen to a friend. Whenever in doubt, please use the golden rule of numeric domains. Hope this rule alone will save you several hundred, maybe thousands of dollars. Are you ready for it? If a numeric domain is available for registration, 99% of the time, it is worthless. The market for numeric domains is a SECONDARY MARKET, and therefore the possibility of registering domains and then reselling them for profit is close to 0. Please save your money on new registrations. I wish somebody had told me this more forcefully when I first started out. Hope you enjoyed the article. Want to buy or sell a numeric domain? Sometimes you are not really sure if the offer you received via email, half in Chinese/half in English, is actually legitimate. What if it is just spam? How should you respond to avoid wasting time? What if the offer is legit but they are lowballing you with half the actual value of your domain? I can help you answer those questions. I have brokered over 7 digits in liquid domains and can tell you the fair range you can obtain for your domain. I can also help you get qualified offers from serious buyers, maximizing the sale price of your asset while keeping commissions much lower than what most brokers charge. Just shoot me an email here and let’s chat!